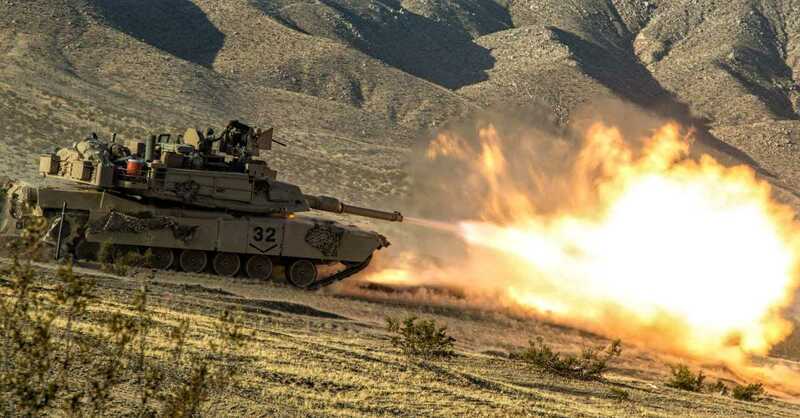 Named after General Creighton Abrams, former Army Chief of Staff and Commander of US forces in Vietnam from 1968 to ’72, the General Dynamics M1 Abrams (and now its current variants) is the premier Main Battle Tank in the world. 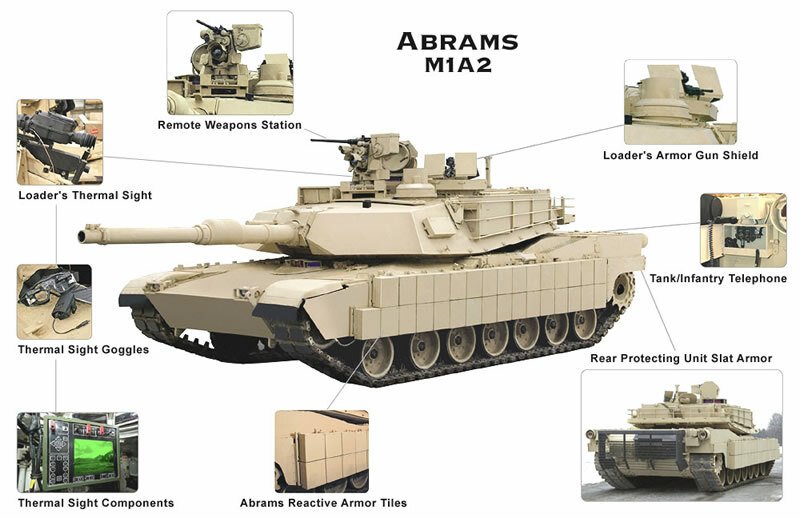 Originally developed in 1980, the Abrams is highly mobile and technologically advanced. It has proved its mettle in several conflicts, to include the Persian Gulf War and the Global War on Terror. Abrams tanks demonstrated their technological and tactical prowess by obliterating the Soviet T-72s of the Iraqi army. The overwhelming speed and success of that campaign is due, in large part, to the success of the M1 Abrams military tank. The M1 Abrams carries a Honeywell AGT 1500C multi-fuel turbine engine providing 1,500 horsepower. It has a maximum speed of 42 miles per hour and a range of almost 265 miles. The M1’s Allison DDA X-1100-3B transmission provides 24.5 hp/metric ton in power-to-weight ratio. This coupled with the tank’s torsion bar assembly results in a relatively smooth ride, even at speed. 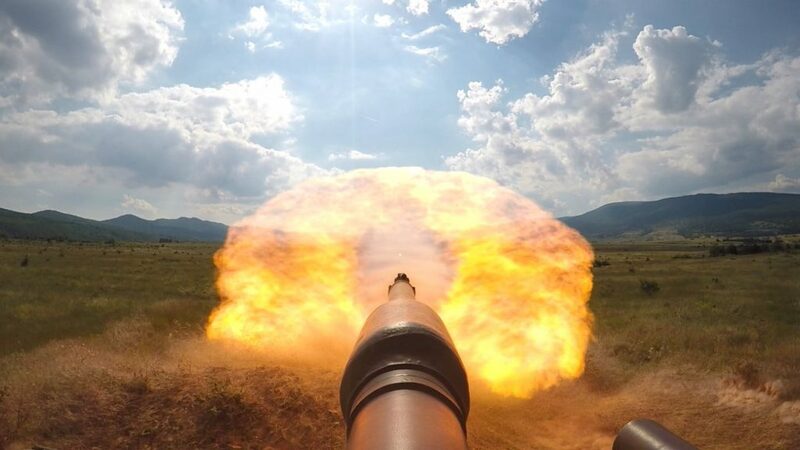 The M1 also maintains a specialized turret stabilization system, allowing the turret and main gun to stay on target regardless of the tank’s movements. The Abrams weighs nearly 70 tons. Even with its powerful turbine engine, the Abrams uses a lot of fuel. Fuel consumption for the tank can be divided into three categories: cross country, tactical idle, and basic idle. It is also so high that it is more accurately measured in gallons per hour than in miles per gallon. In the basic idle, the tank uses 10 gallons per hour, 30 gallons per hour in a tactical idle, and 60 gallons per hour when traveling cross country. 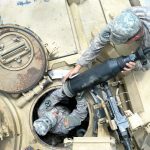 Logistical operations for the M1 Abrams, therefore, are often planned around when it will need to be refueled rather than when it needs other supplies, as the fuel tends to run out first. 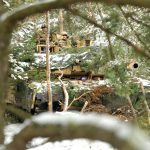 The M1 Abrams first line of defense is concealment. It comes in a variety of camouflage patters and can also utilize its turret fitted smoke grenade launchers to further conceal the tank. In earlier models, the driver could also engage a smoke generator that would spray fuel into the exhaust, creating a thick cloud of smoke. 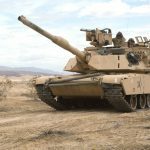 If concealment does not work, the M1 Abrams is highly resilient. A mixture of hard ceramic materials and softer composite fibers make up the tank’s exterior. 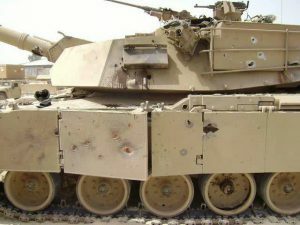 The armor also incorporates depleted uranium, significantly increasing its resistance to kinetic energy rounds. During the Persian Gulf War, Abrams tanks were able to receive direct hits from Soviet-made T-72 tanks with little to no damage. 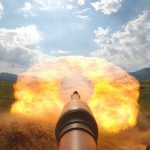 Soldiers with 3rd Battalion, 69th Armor Regiment, participate in a tank shoot rehearsal as preparation for a live-fire tank shoot at Novo Selo Training Area, Bulgaria, June 24. Transported as part of a tank section from Germany to Bulgaria, the Abrams tank will be used by soldiers from 3rd Battalion, 69th Armor Regiment, alongside Bulgarian soldiers from the 6th Brigade Battle Group, during a live-fire exercise during Operation Speed and Power during Kabile 15 as part of Atlantic Resolve-South. 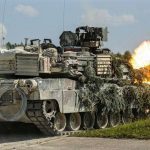 Operation Speed and Power is a joint training exercise which demonstrates U.S. Army Europe's preparedness to deliver strategic effect in Atlantic Resolve-South by showcasing the freedom of movement to maneuver and fire M1A2 Abrams anywhere along the Eastern Flank. This ability enables the NATO allies to defend themselves against all threats, and shows that the alliance remains ready to defend itself anywhere at any time. 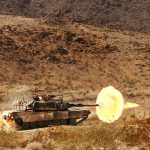 The M1 Abrams standard ammunition load includes forty 120mm projectiles, coming in a variety of Armor Piercing Discarding Sabot, High Explosive, and Canister rounds. It also carries 1,000 rounds of .50 caliber and 12,400 rounds of 7.62mm ammunition, as well as 12 smoke grenades. It comes equipped with both Nuclear, Biological, and Chemical (NCB) protection and passive Night Vision capabilities. Developed in the 1980s, the Abrams first saw combat during the Persian Gulf War in 1991. 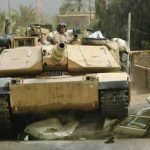 Far superior to the Soviet-era tanks deployed by the Iraqi military, the Abrams were able to outrange and outgun the Iraqi tanks. 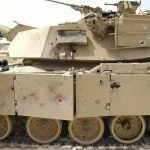 Of the 1,848 M1A1s deployed to Saudi Arabia in preparation for the liberation of Kuwait, only 23 were damaged or destroyed; none of which were destroyed by enemy fire. Abrams tanks were used heavily in the Global War on Terror, although their use was limited in Afghanistan due to the mountainous terrain. It was used quite frequently in Iraq, however, and took part in tank on tank battles during the initial invasion. 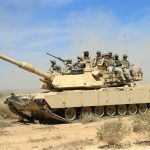 The Abrams is still in use and is currently the principle tank for the United States, Egypt, Kuwait, Saudi Arabia, Australia, and Iraq.